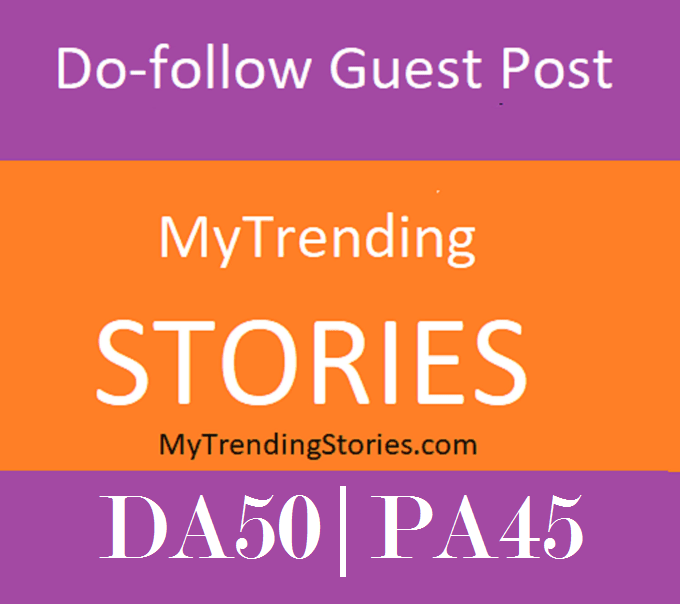 I will Do Write and Publish high-quality Guest Post on Mytrendingstories.com with Dofollow DA50 High authority backlinks. Mytrendingstories is a famous website having a high number of visitors daily. It's a dofollow and quice indexable on google. It's a 100% legit and high-quality guest post which increases your website traffic and also boosts your search engines rankings. If you any question to feel free ask me.